This is a huge mistake. If I’ve listened to some music through a playlist on Apple Music, I may want to go back and check what I heard, to listen to certain songs again, add them to my music library, or check out more music by some of the artists I heard. Especially if I’m listening on a mobile device and didn’t have time to note what I heard. First of all, scrobbling works for everything that is in My Music (that is, your library). It does not matter if the song is stored locally, streamed from iTunes Match, streamed from Apple Music, or a song from Apple Music that was made available offline. The same is true for playlists, scrobbling works for you local playlists, as well as Apple Music Playlists. But now things get complicated. Let’s take a look at the For You and New sections. If you play a song, album, or playlist directly in the For You section it will not scrobble. If you play from the detail view of a playlist that you previously added to My Music it scrobbles. If you play a playlist directly from the For You section it will not scrobble. If you play a song, or album that you previously added to My Music from the detail view it will not scrobble. If you search for a song, album, or artist and play from the search results it will not scrobble. Everything in Radio, including Beats 1 will not scrobble. Basically, only music in My Music and Playlists will scrobble, with the one exception of saved playlists. As I wrote previously, the difficulties of using Apple Music are real and extend beyond the multitude of features buried throughout. I’d love to see Apple collaborate with third parties like Last FM to extend Apple Music but the focus should first go to simplifying the existing UI. Luckily Last FM integration isn’t lost, it’s just cumbersome for the moment; much like Apple Music itself. That said, I’m still loving the service and listening to music more than I have since college. I’d call that a tie. If you've ever followed a link to YouTube and found yourself looking back on an hour that you wish you could get back then I hope to be of some assistance with the occasional YouTube escape. These will be spontaneous trips to YouTube for things that are worth your time. Today's escape started with the official lyric video for Death Cab for Cutie's first single from their upcoming eighth studio album Kintsugi. The song is titled "Black Sun" and it makes me excited for what's to come on the new album. From there I found the intro to a YouTube playlist of music videos and performances that Ben Gibbard and Nick Harmer had created in anticipation of their 2011 album Codes and Keys. In it, Harmer mentions The Decemberists at the same time that I noticed an NPR Tiny Desk concert with The Decemberists in the watch next sidebar and jumped over to it. This little acoustic set featured three songs from their then-new album The King is Dead which is my favorite Decemberists album to date. The three piece ensemble's pure talent is showcased in three songs. From this Tiny Desk concert I jumped into Iron & Wine's appearance on the concert series and was amazed at how quickly 17 minutes can go by. Sam Beam is an amazing and engaging singer and songwriter with a humility that comes through in his awkward but honest talk between songs. All three of the videos are worth your time even if you've never heard of these bands. I would encourage you to take 35 minutes to catch some great music from truly talented artists. At the beginning of December Spotify released its Year in Music 2014 feature which sums up the top music and trends on Spotify for 2014. 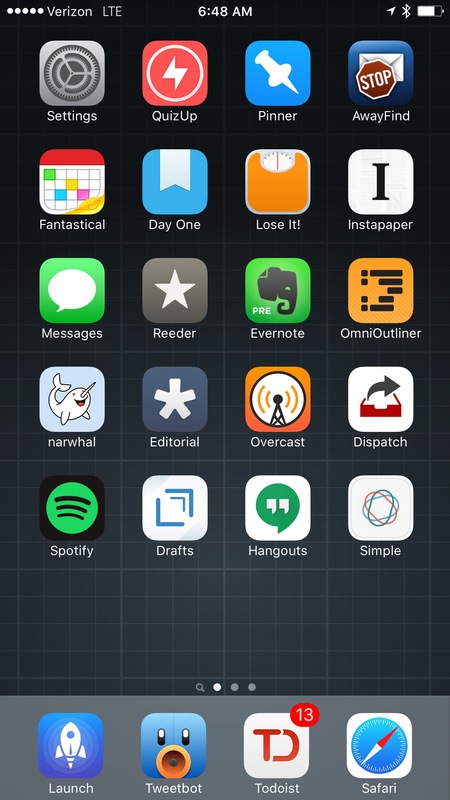 The feature also allows users to view this information based on their own Spotify usage. This is the second year I've used this feature and while others find it provides a surprising retrospective of their taste in music, it's something I find compelling about using Spotify. Personally this kind of data is why I love Spotify and have adopted it as my primary music application/service. My 2014 Year in Music doesn't conform to all aspects of what I would've expected for myself but it is an accurate representation of how I've used the service this year. The weeks and months following Riley's birth were full of late night sessions of Rockabye Baby's many lullaby covers of popular artists that was a much needed break from traditional lullaby songs which is why the winter months were dominated by the group. The spring brought about a renaissance of my interest in The City Harmonic when my grandmother surprised us in coming to town to meet Riley. Summer months allow me to open the windows in my car which requires the bass and lyrical thrust of Lecrae's fantastic new album Anomaly. Over the last few months of the year with the Fall came a lot of changes for my family and a newfound inspiration to participate and enjoy life and not live to work but rather to take a step back and realize that I want to work to live. I couldn't think of another artist that sums this up for me other than the polarizing Owl City. I'm embarrassed to say that I've debated sharing my Year in Music for fear of what it opinions may be formed about my own taste in music but over the last few weeks I've come to find that I'm confident in my taste in music and find it to be one of my favorite things to discover and write about. 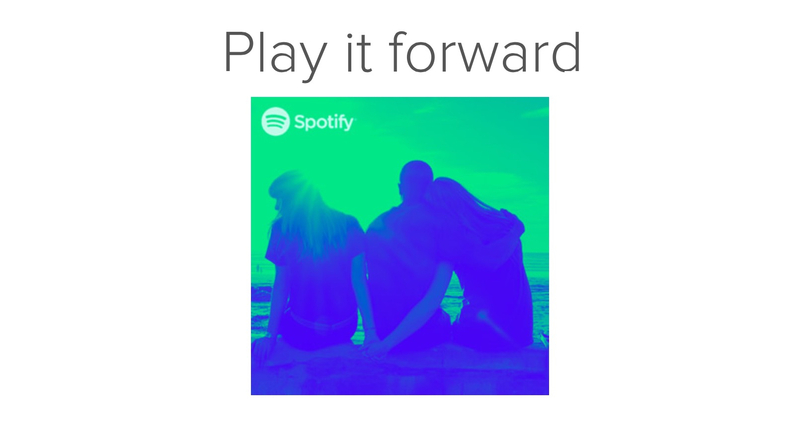 After going through the stats for 2014, Spotify offers to create a playlist titled Play It Forward in your library that takes what it knows about your taste in music and provides 30 songs to get you going for the new year. I was nervous that having so much lullaby music at the beginning of the year might really skew this playlist but I can't find any traces of children's music in the selections Spotify made for me. To be honest I'm rather surprised at the accuracy of what's been created for me and have found some great new music from this playlist. It's to the point that I want more than 30 songs as I'm already beginning to wear some of these new tracks out. If you're a Spotify user and are looking to find something new that's custom tailored to your listening habits I would highly recommend using the Year in Music feature to create your Play It Forward playlist and to take a listen to mine. Casey Liss posted a few of his favorite Christmas albums last week. Two of them have been getting plenty of play this year on the Sonos at Carole's1 house the last few weeks and all three are in my Christmas playlist on Spotify. You won't find many of the typical artists in this playlist as I find that they get a ton of radio, film and public play when you're out and about for the holidays. If you're looking for a couple hundred new Christmas songs to enjoy this holiday season you should give my playlist a listen. It's 75 degrees outside and pain runs through my body. This is emotional pain like I've never felt in my life. I'm driving up I-10 in Florida from what was my grandparent's house. I've been with my uncle for the last week on an unexpected trip to help my grandmother brace for the impact of divorce. While my uncle and I drove down together, he's stayed behind as there is uncertainty around grandma's stability when we started packing to head back to Memphis. So I'm alone in a red Volvo on the 13 hour drive home when I begin to process the past week. The lawyer, the counselors, the endless scanning of documents, the friends, the family and the tears. Oh, the tears. After 56 years of marriage and a family so woven into this patriarchy, it's all unbound in less than two years. I keep thinking this can't be happening. How could it? Not us. We can't be that family. Can we? We're stronger than this. Aren't we? It's all so selfish but it's what everyone in our family has always known to be good and true and now it's over. Dead. Gone. I'm grasping more than ever for understanding and love that can fill a hole wider than I thought existed in me. I'm searching for God in all of it. Then this song comes on the radio in the background. The DJ of the most recent FM station I've been able to tune into talks the song up as one that's jumping up the charts. "Here's "Manifesto" by The City Harmonic on 97.1, The Love of K" (or something to that effect). All I hear is God. Drenched into every sound. It's poignant and loud. Beautiful and noisy. It's what I need. Like a cup of water in the middle of the desert. I realize that I don't know who this band is but I need more of what they're offering. The Volvo doesn't have an auxilary port so I pull over and dig out my headphones. I look The City Harmonic up on Spotify and find a single album. 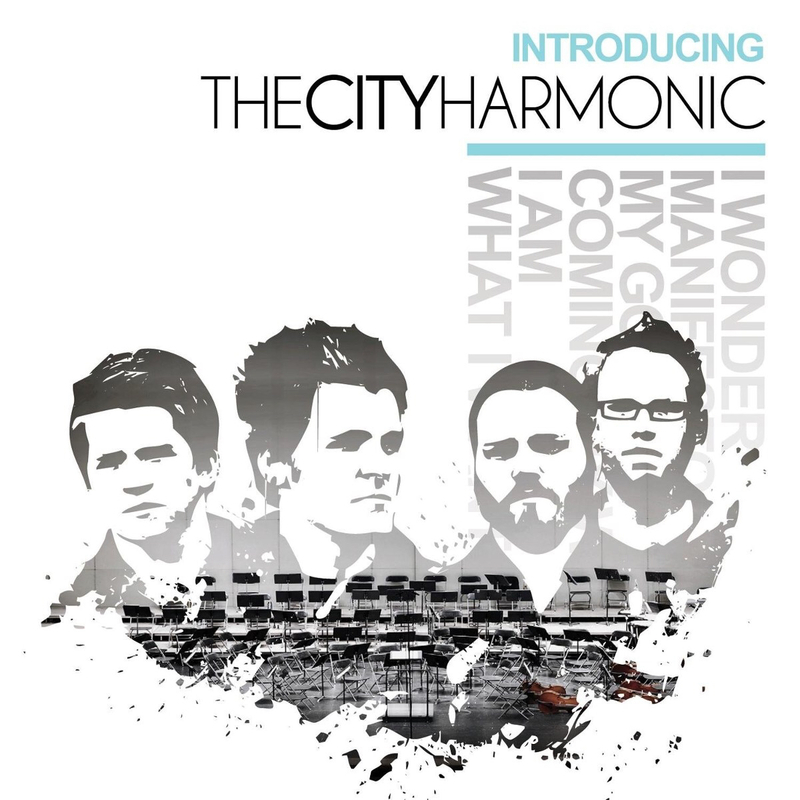 Introducing the City Harmonic. There are six songs. I immediately press play. The song opens with an orchestra getting in pitch and the conductor tapping their baton on the podium to open the album. Tears begin to fall almost immediately. "I Wonder" questions the love of God. It's size and how we see it in our life. Everything hits home when gets to the second verse. I see it in the pain of the widowed wife. In death defeated where he found true life. I see the love of God and I feel alive. These words are what I'm searching for. Finding God's love in the pain of life. I drink it up. Then comes track two. This is the song that led me to seek this album out. It says so much about who Christ is and what I believe. Even in darkness there is light. We believe in Father Spirit Son. We believe that good has won. It's hard not to sing the chorus at the top of your lungs and lose yourself in Him. The tears haven't stopped and I continue to belt out garbled lyrics with lots of AMEN. The words are crafted as if they're for me in this struggle. Then the beat picks up and the second verse opens. What more can I do in this moment? I can't handle the weight I'm carrying. I'm so lost in this music that been carrying me for the last 13 minutes and I've lost control of emotion. It just keeps pouring out of me. Everything I've bottled up over the last 7 days since I found out what's been going on and what the outcome will be is just spilling over. "Coming My Way" soothes and calms. It's a beautiful ballad to God and talks about the journey home to heaven and finding heaven here on Earth in Him. I calm ever so slightly. A simple guitar riff, a drum beat and into the first verse. I am a man who built his house on sand. I am a thief upon a cross. I’m just like Judas, that sorry fool. Who can’t be glad for what he’s got. I am a man who has been bought by love. I am a man who sold his soul. I’m like the man, who when he found his pearl. He gave up everything he owned. Through His grace I'm redeemed and I am love. Love works. This song sweeps me straight off of my feet and I listen to it again. And again. And again. It's such a beautiful portrait of forgiveness and the redemption that comes through His unending mercy. This is instantly my favorite track on the album. The tears continue to flow as I realize how broken I am in my own walk and how easily I've judged others throughout this ordeal. So go on sing, sing, all of heaven and earth. But don’t just sing, be and be every word. This is my favorite line from "What I Want". It asks us to step out on our faith and walk the talk. To be the change that God calls us to be on this Earth. This is my constant struggle. To fearlessly be who I'm called to be. I contemplate the experience I've just had. Through these six songs being played a few times over I've given up my burden and opened myself up to God in a way that I've been missing since I was in college. This album is now permanently bound to this specific moment in my life. The ghost of my burden is forever reflected in this album for me. And yet I can't recommend Introducing The City Harmonic more highly. It's been roughly two years since I jumped into that red Volvo and this album still brings tears to my eyes when it comes on. This past week was the second Thanksgiving without my grandfather present and it has left an impression on our family tradition. As we grandkids grow up and start having our own kids the weight of the thing still lingers. It's been 7 months since I originally shared this as a journal entry. I was too scared to put these words on Course Code directly in April so I buried it in a Day One entry but this is the force that music can have on a person's soul and the fear is overcome by it. I hope that someone might find a similar strength from these six songs. I stumbled across The Midwest Indies on Spotify in one of my many discovery sessions. These usually start with a song from "my" library grabbing my attention. I'll pull the artist up and start clicking through to related artists and sampling a few of each artist's top tracks to see if anything stands out. Sometimes I find something new and compelling and start listening to one of the artist's albums in it's entirety. Such is the case with Truman. 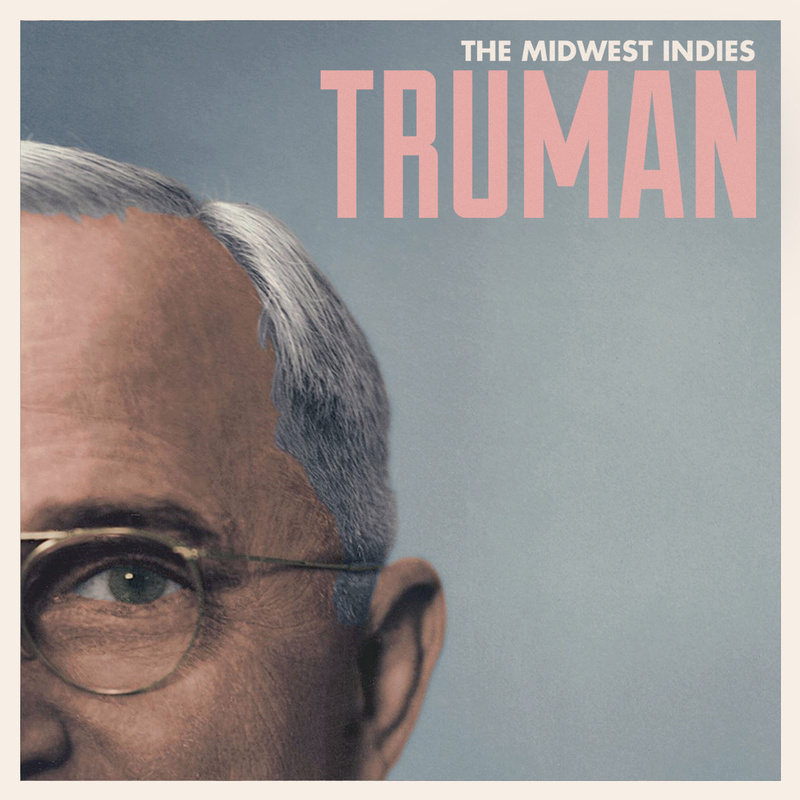 The Midwest Indies have created something really special with Truman. From start to finish Truman carries something rare, an album with few, if any, flaws. 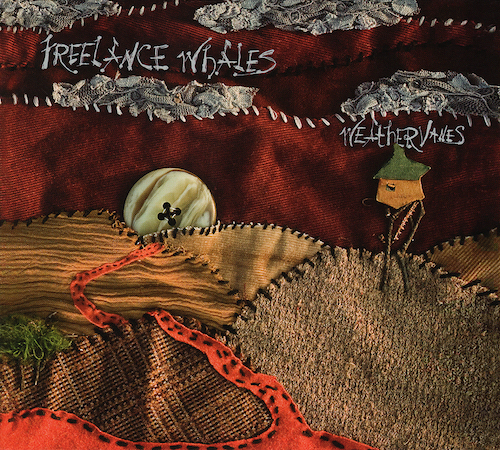 The range of sound on the album spans simple acoustic, piano and vocals on "Frederick Fleet" to the slow build of the banjo led and trumpet infused "If You Can't Convince Them, Confuse Them" where the pacing evolves into a song that sounds completely different on it's end than it did when it began. 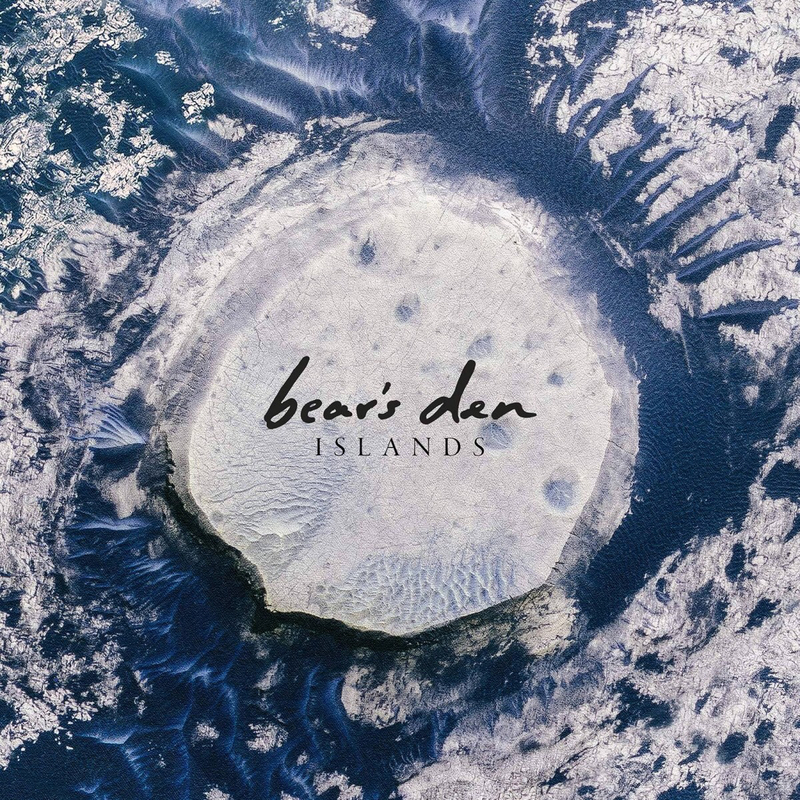 Brad Thomas's voice is staggeringly (and sometimes hauntingly) mature while the harmonies that the band creates layer the vocals in a way that only solidifies the complex individuality of The Midwest Indies sound. The production quality of the album is absolutely stunning; especially when you consider the backstory of how the album was made. When an artist makes an album that intrigues me in the way that Truman does I usually start researching the band and learning as much as I can about them. The backstory for Truman only adds to my fondness for what these guys have created. In early 2011 Tanner Brown, Chandler Reed, Brad Thomas and Blake Tucker were in high school and college when they formed The Midwest Indies and started writing music and playing it locally in the Springfield, MO area. After fine tuning their sound they started preparing to record Truman and turned to Kickstarter to fund the studio and marketing costs. Their goal was $1,500 and was fully funded in February of 2012 by 44 wise individuals. It's easy to read the budget on this album and assume that it has a quality that's comparable with Iron and Wine's Around the Well which, while beautiful, is also something that only Iron and Wine can truly pull off and have it add value to their music. The album is mastered so thoroughly in order to layer all aspects of the album in such a cohesive package that negates the need for the typical production faults such as autotune. Ultimately, the fact that these 4 guys were able to create something to the quality and originality of Truman for $1,500 is a testament to their talent. The album artwork is somewhat of another story. While it looks great at first glance it is obviously photoshopped together when viewed at full resolution. This is one of those things that I assume either one of the bandmates or a friend of the band created. Either way I still like it and it's what comes into my mind when one of the songs from the album comes on. The Midwest Indies are currently working on their second album and have released two singles since Truman released; "Bad Vibrations" and "Voyager". Until their sophomore release we have Truman and that's not a complaint by any means. About 5 weeks ago I moved to Chicago to start a new job and start planning out my family's future when Courtney and Riley move here. I'll be seeing my family for the first time in 6 weeks when I head back to Memphis for Thanksgiving this week. On the outset 6 weeks seemed manageable but it's grown more difficult with every passing week. For the first few weeks I spent my evenings finishing The Wire one episode per night. Then I was tasked with getting my MCSA and started reading Mastering Windows Server 2012 R2 which lead me to start finding music to listen to while I was studying. All of this lead me to get back to one of my favorite past times, music discovery. Music can be so many things and is the background for much of our lives. Whether it's to pass the time, to concentrate, to get energized, to get by or to heal; music is there. I haven't listened to traditional radio since I was in middle school. I used to use sites like MySpace, purevolume and the now defunct Stage FM to find artists that had yet to be discovered. I typically blaze my own trail when it comes to the music I listen to and am willing to share with others. When I look to independent writers and podcasters I follow online I often find myself longing to have a topic to dig into that I find interesting and am able to curate for others. I've typically avoided music as that topic as it's such a crowded space that's covered by so many others in the mainstream media. Over the last few weeks I've started to feel more confident that music is something I do have an interesting take on and it's going to become one of my primary topics on Course Code. You can expect that most of my recommendations will be accompanied by the story of how I found the artist, album or song and the impact the music has had on my life. What I wouldn't expect is to find out about the newest music or the hottest thing right now. I'm picky about what I listen to and what I find good enough to share with you. Music is a huge part of the human story. I hope I can introduce parts of my story into yours. I've recently been studying for my MCSA and have found that I need quality instrumental music to keep focused without distraction. I've started listening to a lot of Jazz which has been great but I think I've just found my new study music. This week's Tools and Toys quality linkage is all about space and is such as fun read. On the outset Chris recommends a fine pairing of music for the read; ‘Cosmos: A Spacetime Odyssey’ Soundtrack which I missed the first time around. Chris followed up with a separate post and more information about these 4 volumes of music from Alan Silvestri today and man am I glad he did. As enthralling as I find space, music is much more of my thing and this soundtrack merges the two in such a great way. Check out Chris's post for the full rundown of links.